Catia highlighted trust as her favourite value. I wholeheartedly agree. This is one of the key perquisites and an enabler for true learning and effective collaboration. I’m happy Yves followed up. He told a great story about Joppe, his son. I love this story. You should go an read it now. 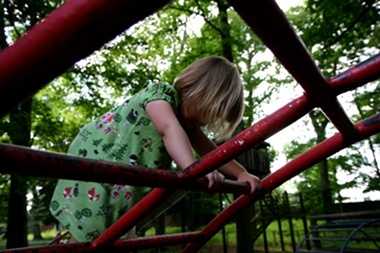 Imagine Joppe wasn’t climbing trees but playground toys and frames instead, like Zosia, or a climbing wall with gear and protection. A safe, soft, shock-absorbent surface underneath. Even though Yves might still think he needs to trust his boy to climb anything – his heart wouldn’t be pounding nearly as much. He wouldn’t sweat as he might when Joppe misses a branch. Accepting that Joppe loves to climb trees and allowing him to do so is powerful at building trust. It works so well, because Yves includes a healthy does of essential trust-building ingredient – risk. This is something I often see people miss. If you want to establish trust there must be risk involved. You can’t just tell people you trust them to get them coding and then send three project managers to watch their every move and ask for detailed reports every week. Yves also asked and interesting question: “When you need more trust to write, why did it work to organize ALE2011”. @lunivore @pdarrall @marcjohnson now that is a huge assumption. @mhsutton @lunivore @marcjohnson If you dont hire people you trust, you got a bigger problem than I covered. I’m now thinking that perhaps how quickly we establish trust has something to do with the nature of risk involved. Creating a large, ambitious pan-European conference is a risky business, it’s inherently risky (that’s why adopting real options worked so well for us as ALE2011). Employing a stranger is also a risky venture, no matter how good we think we are at recruitment (to understand better why, read Gladwell’s “Most Likely to Succeed – How Do We Hire When We Can’t Tell Who’s Right for the Job?”). These are situations where risk is external, we have very limited control over it – therefore granting people trust straight away is a sensible strategy. Writing a story together, on the other hand, can be risky too but we are able to control it. Yves may decide which tree Joppe can attempt so he can slowly aim for the bigger ones and thus building trust gradually. Going for a piecemeal build-up of trust may be a better approach. I’d love to hear your thoughts. Trust is given, not earned. As always what a nice way to open such an amazing chapter in Human history: TRUST. After seeing your favourite quotes I remembered something I read from Bjarte.. He says that if a manager thinks he cannot trust the people he works with, them the problem probably rests with him and not with anyone else. Trust is about faith. All of us got hurt at least once. Should we stop believing because of that? Wouldn’t we stop living as much as we are able to, when doing that? From my personal pov, if I stop trusting I’ll stop living. Nothing will be left for me, in work, friendship, humanity. Just sad memories from a time I was able to make a move and stand for it no matter what. To trust someone else means to trust myself and in my hability to move fwd in case something gets broken. I turn your oneliner around: If there is no risk, who needs trust? I agree with @PDarrall that you decide if you trust people in the first few seconds. After that people loose trust. The good thing is, we can regain trust. But the original trust was decided in the first few seconds. I saw a (dutch) study were they said people decide in the first 5 minutes if they would hire someone yes or no. Some people I don’t even trust when they say they will make a phonecall.